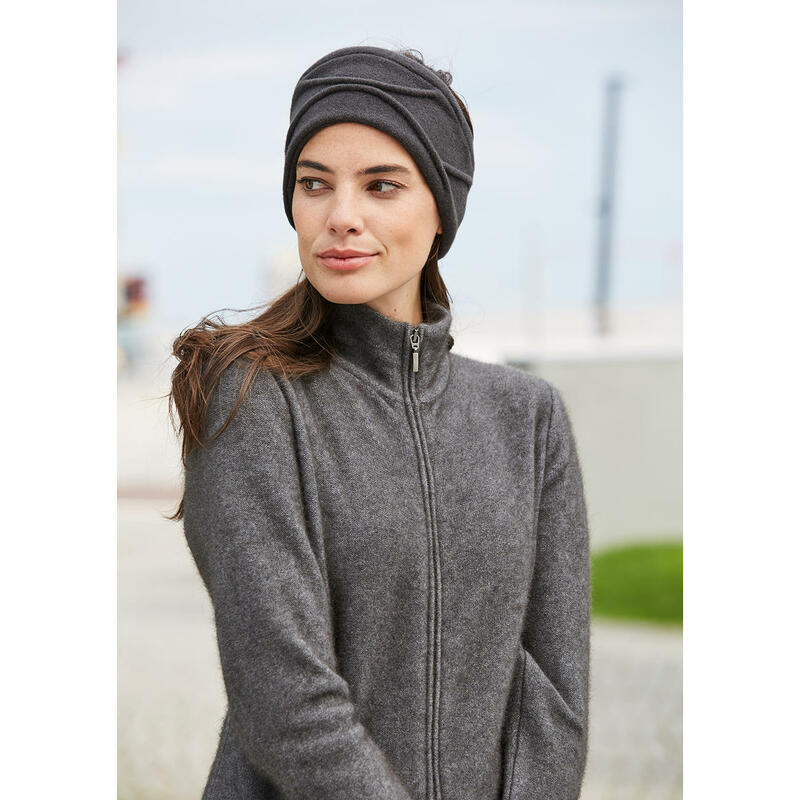 Felted wool: Naturally warming, soft and elastic. Millinery craftsmanship with family tradition since 1905. A headband almost as elegant as a hat. In currently fashionable, elegant shape. Permanently fixed ruffle. Made in France. By Céline Robert. A generous 10cm (3.9") height and strikingly draped, this headband almost has the appearance of an elegant hat. However, the open form is airier, better suited for everyday use and it is gentler on your hairdo. 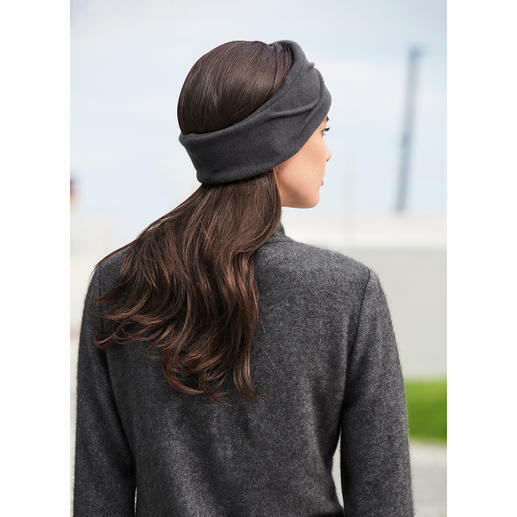 The elegant band clings perfectly around your head, is slip-proof and gust proof. The Parisian milliner Céline Robert is famous for her sculptural headbands and turbans. The company has been included in the “Entreprise du Patrimoine Vivant” since 2011: A French government seal of quality award for companies which keep the heritage of their special know-how alive and maintain their traditional craftsman­ship. One size. Measures 54 x 10cm (21.3" x 3.9"). Colour: Anthracite. 100% wool. Dry clean only. Made in France. I feel I am a Fool. Thoroughly unimpressed with this. This was bought as a gift. Big mistake! Made me look a cheapskate. I believe I could have bought better in a £1 Bargain Bazaar or Charity Shop. Pro-Idee Internet Editors: Thank you very much for your opinion on this item. Our customer service will contact you soon with a solution.